My name is Liam Higgins. I am a Junior at the University of Pittsburgh studying material science engineering. I often find myself either in the mountains or longing for the mountains to rock climb, hike, ski or just to get some fresh air. I need my car to take me to these places through deep snow or rocky roads and at the same time be able to endure long amounts of highway travel to visit my girlfriend. The modifications that we made to the vehicle help me get that much farther away from civilization in a way that is practical, original, and overall badass. I started this project because I have always had a curiosity for how things work and how to fix them. To work on a project that modified my car to better suit my needs was a no-brainer. Over the last few years, my interest in the overland world has really started to accelerate. I am a pretty avid traveler and seeing photographs of excursions in the most remote places really struck me—how did they get that there and how do I get there? I started out setting up an emergency repair kit for my first vehicle, a 2000 Jeep Cherokee. The next year I sanded and bed lined the exterior. Although it was a lot of work to do by myself, I learned an incredible amount just through trial and error. I had plans to lift it, put a snorkel in, maybe add some more beefy bumpers but due to an unfortunate car accident, my Jeep was totaled. RIP. Come to find out my interest in off-roading kept exponentially increasing and so did my plans to outfit anything for overland travel. My next vehicle was this 2011 Subaru Outback. In the beginning, it was very hard to visualize what the vehicle might look like after this sort of modifying because there were only a few people doing this kind of work. I sought help from someone I knew would be able to pass along decades of knowledge from the overland world and would be able to kickstart my build experience. This being my first serious build, there was a lot to plan out over a very short build window. After seven months of preparation, we had our products picked out and ordered and everything was ready to go. My internship ended at the beginning of August, and I went on a climbing trip to the New River Gorge with Julia, my girlfriend, and headed out west with Ursa, my dog. What I didn’t prepare for was how much work the build was going to be. Doing the things that we did spread over a month would have been relaxing but chopping that down to 12 days turned it into an all-out sprint. Up by 5:30 a.m. and working to 8:00 p.m. with a few 20-plus-hour days sprinkled in made the project mentally and physically draining—and yet I enjoyed every second of it. I loved seeing the progress we made each day and having to think analytically to solve a problem or understand why we were doing something a certain way. Other than the long hours, we faced a few other challenges such as rust. This heavily impacted the suspension rebuild. There’s something about trying to loosen a rusty bolt at 3:00 a.m. that just warms your insides and makes your brain hurt. Luckily, everything else we did was custom so that was the end of the rust problems. In the future, I plan to install a snorkel setup either internal or external, I want to bedline certain parts of the car, build a skid plate system with rock sliders, add a roof rack, and I want to take care of that rust. The car is a Gen 4 2011 Subaru Outback 2.5i Limited. We had many modifications in mind but with the 12-day concept to finished product schedule, this is what we’ve accomplished. Here is the story (well, my version) behind the Outback build. This is not, in my mind, a story about me or Tern Overland. It is a story about a young man seeking to gain valuable, tangible skills at a time when so many his age are dreaming of being professional gamers. Liam is a bright young man who listens closely and learns quickly. His hand is everywhere in this build. I served as mentor and supporter, but this is Liam’s build. It started out a 2011 Outback 2.5i. We undertook the build because Liam is an avid outdoorsman, and he has embraced the overlanding perspective on travel. 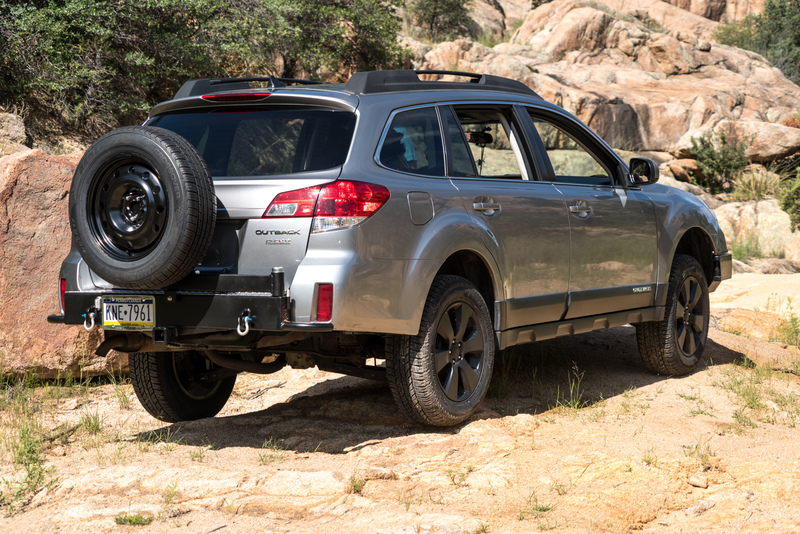 In our discussions, I explained to him that most any vehicle could be made more capable for an overlanding rig, and that the Subaru was much more capable than most people think. The problem is that the brand is not well supported by the aftermarket. Most of what we needed would have to be engineered and built in-house. I really did not need another project, but Liam is very interested in learning about vehicles and the design/fabrication process. The decision to move ahead was predicated on his involvement at every level. This would be his first project of this kind and his first time behind the wheel of an off-road-capable vehicle. My hope is that this experience sparks a lifetime interest that enriches his life and enhances his travels. We only had 12 days to take this from concept to reality! Following is a breakdown of the items we chose to tackle, and the thought process behind it. The front bumper: An extensive search for bumpers that were capable of taking an animal strike and supporting the use of a winch turned up exactly nothing! The closest thing we could find was an Australian company that made a nice looking bull bar. It was poorly engineered though because it only used three of the four anemic stock mounting bolts and had no triangulated support structure. It was clearly not designed for use on a monocoque body. It could take a moderate straight-on strike, but for good reason was not rated for winch use and had no recovery points (lame). 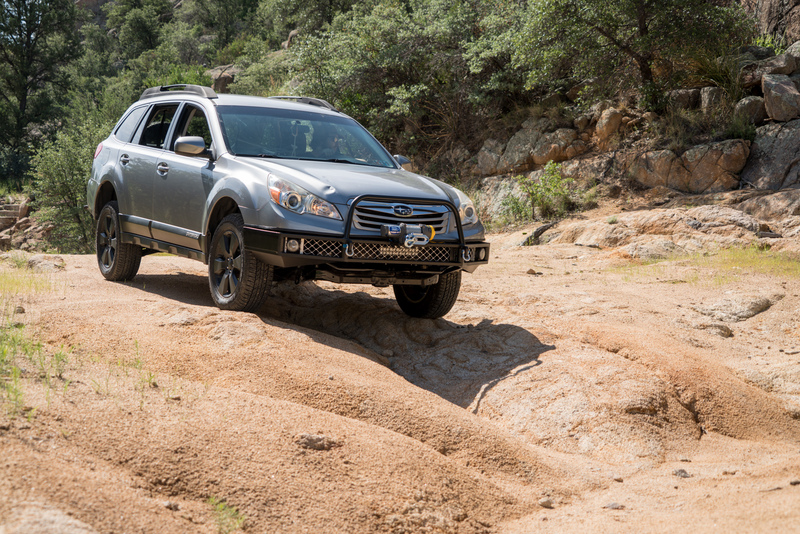 Our design criteria: Lightweight, to maintain the low-weight advantage of the Outback and not adversely impact vehicle dynamics. This bumper was fully engineered for maximum strength to weight ratio to handle all foreseeable static and dynamic loads. No “dumb” weight was added. After removing the stock parts, the bigger battery, winch, and bumper added only 98 pounds. Triangulated mounting points were incorporated to spread compression and tensile forces while reinforcing the entire front structure of the car. We did this by replacing four of the eight 8-millimeter (5/16-inch) bolts with 7/16-inch grade eight bolts with backup washers. This prevents the bumper from pulling loose under winch use. The bumper features a subframe which creates a box structure behind the bumper tubes. The bumper gains further strength by incorporating two arms that connect to the factory recovery points on the front factory subframe. This bumper can easily support the stress of a Hi-Lift jack or winch. It can handle compressive or tensile forces from every direction. The bumper also incorporates two recovery points tied directly to the mounting structure. A strong hoop was added for animal strike protection—designed in-house and handbuilt. 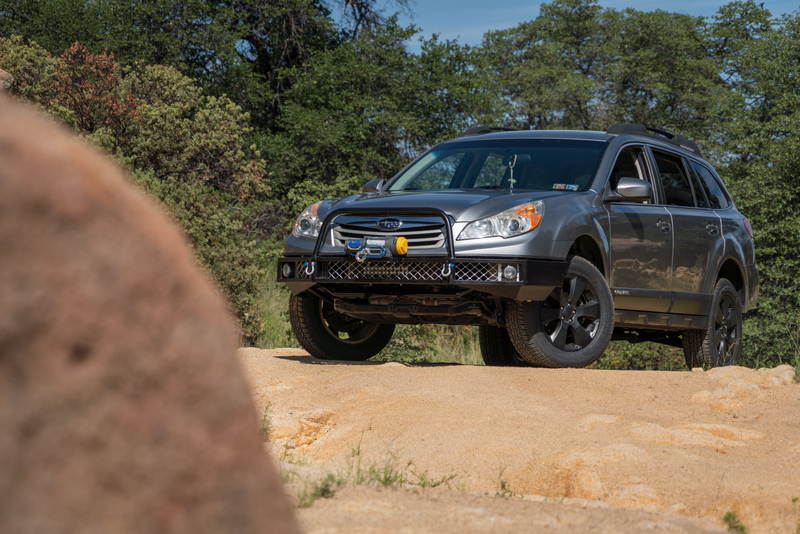 To provide good ditch lighting, we moved the factory Subaru fog lights to the angled portion of the bumper. Straight ahead lighting was boosted by an LED light bar mounted behind the aluminum grill in the bumper. 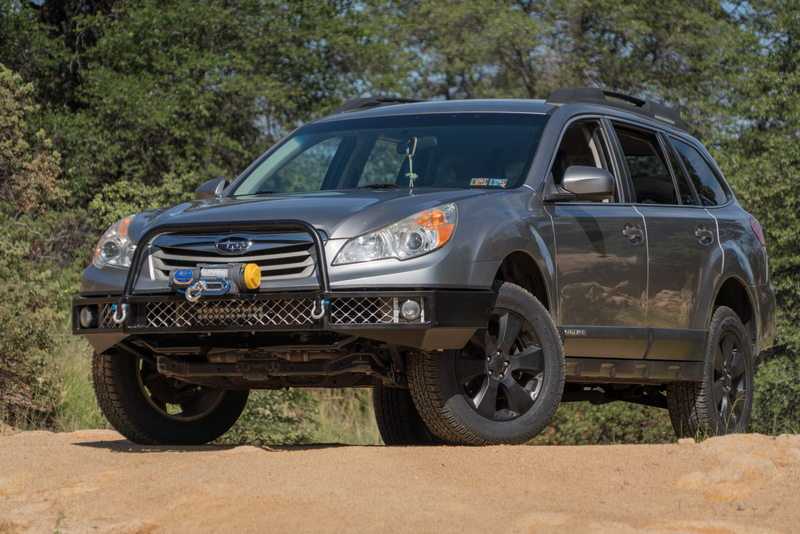 We selected the Superwinch Terra 4500 winch with synthetic line because it was a perfect match for the light Subaru. At only 19 pounds, it adds enormous capability with very little weight penalty. To better support the winch, we replaced the factory group 25 battery with a group 34, boosting the capacity from 625 CCA to 800 CCA. In single or double line pull, this little winch provided everything we needed for the use this Subaru will see. Rear Bumper: The rear bumper was designed with the same mindset as the front. The bumper incorporates a 3/16-inch-thick channel design with triangulated mounts. A 2-inch hitch was added for light towing and the addition of accessories like a bike rack. We designed and built a super strong swing-away tire carrier using a tapered roller bearing support stub. This carrier is rock solid and frees up the cavernous spare tire well for the storage of gear. An aluminum diamond-plate top provides a nice step for accessing the roof rack. All were designed in-house and handbuilt. Lift and suspension: Here was one place we could utilize aftermarket parts. We opted for a 2-inch lift kit from Anderson Engineering. 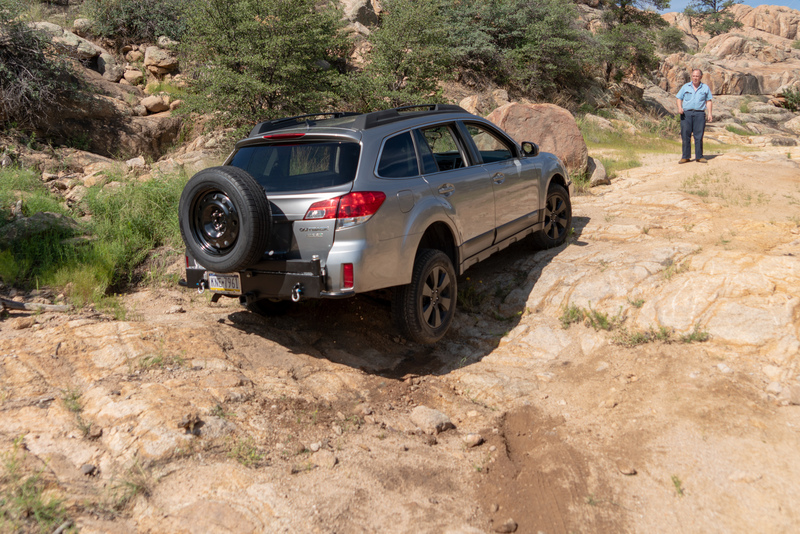 To achieve a vehicle with good long-range road manners and still provide excellent support for off-road use, we selected Rallitek stock length springs in the 200-pound size in front and 350 -pound size in the rear. These springs were a perfect choice! For shocks, we selected KYB Excel-G Strut assemblies. 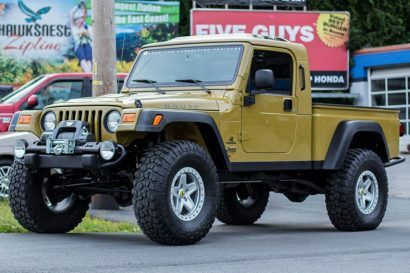 This combination with a set of new 225/65R7 Yokohama Geolanders yielded 3 inches of lift. Tires: Tire selection was a little tough because the choices are limited in the 225/65R17 size that we needed for this build. BFG makes one, but we decided against it, primarily based on tire weight. The Geolander is only 30 pounds, 5 pounds over the stock tire weight. The BFG is 39 pounds in the same size. That extra 9 pounds will have consequences on washboard and bumpy roads, as well as braking and acceleration. The goal here was to build a flexible vehicle that could handle all conditions well. The Geolander offers increased load capacity, tire puncture resistance, and ground clearance at a much lower weight penalty. The softer tire may also provide better traction in many cases. 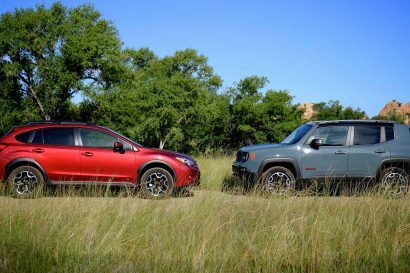 Road and trail testing of this combination revealed excellent manners in all circumstances including washboard, dirt, rocks, and highway driving. 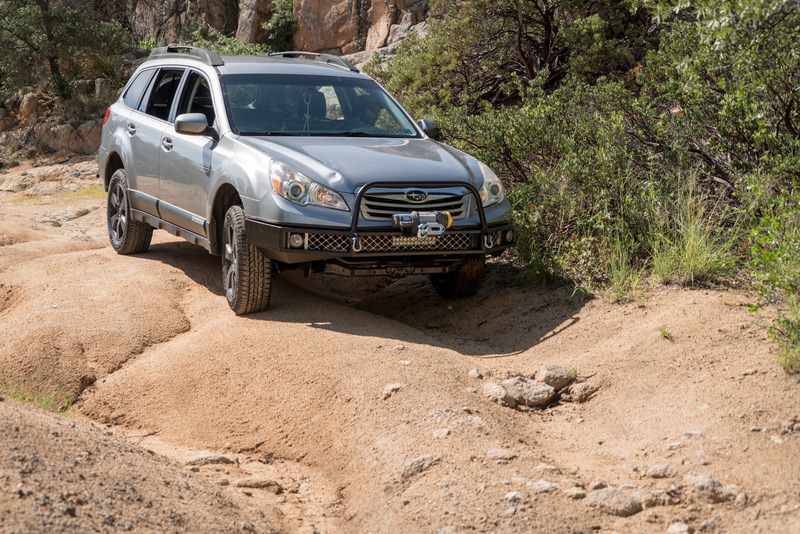 The added ground clearance allowed the Outback to follow my Tacoma on all but the most challenging trails. We were also able to achieve factory alignment specs. 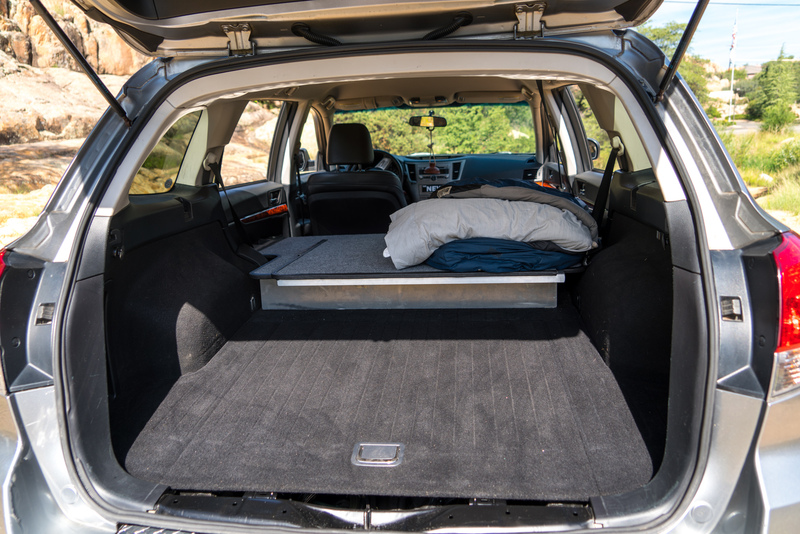 Modular sleeping platform: This three-piece modular sleeping platform provides solid and comfortable sleeping for two people, while retaining 28 inches of open cargo space in the back. It is built of ultralight aluminum/polyethylene honeycomb panels, and can be configured for one person or two. 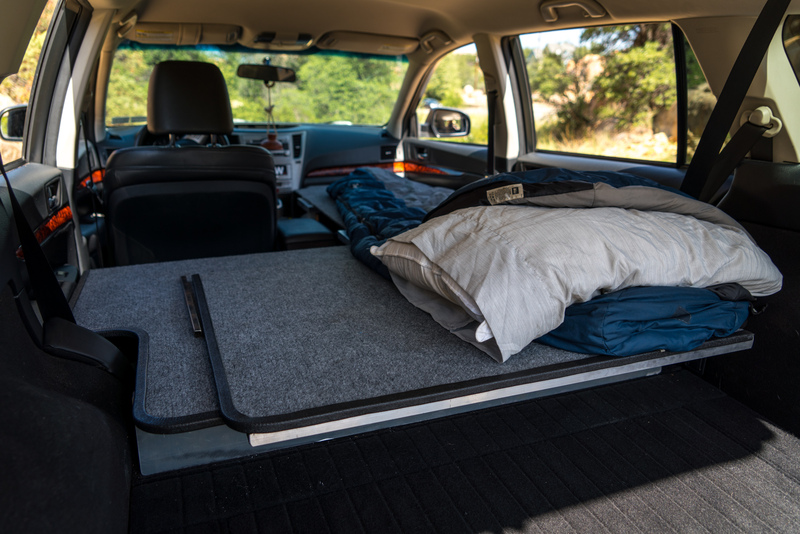 In the one person configuration, the bed can remain set up while driving, providing a very useful platform for all sorts of items that you might want handy. It is also a great place for the dog to ride. The entire system stacks neatly and takes up almost no room when not in use. It can be deployed in two or three minutes. Odds and Ends: The final lines of the vehicle were enhanced by some well-thought-out plastic trimming. We also trimmed away plastic to increase ground clearance and tire clearance. We finished off the build with a small air compressor, a complete recovery kit, tool set, and tire repair kit. 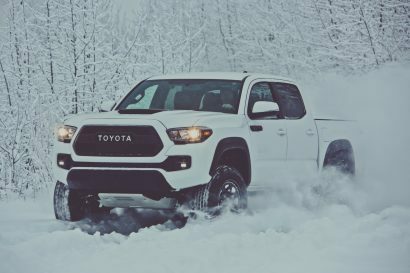 The result is a vehicle that can travel in comfort, take on all but the worst trails, provide comfortable and secure accommodations for two people, and protect the vehicle from unexpected collisions. It also provides expanded options for carrying equipment and toys. If Liam makes it out next year to visit, we plan to build a custom roof rack and add an extensive skid plate system. The New 2020 Defender Off-Road! I want to win somethin! …or at least stop losing! And get some info on the adventures. I’d like to enter to win the cooler!? Please tell me he’s going to market those bumpers! You should probably invest in skid plates. 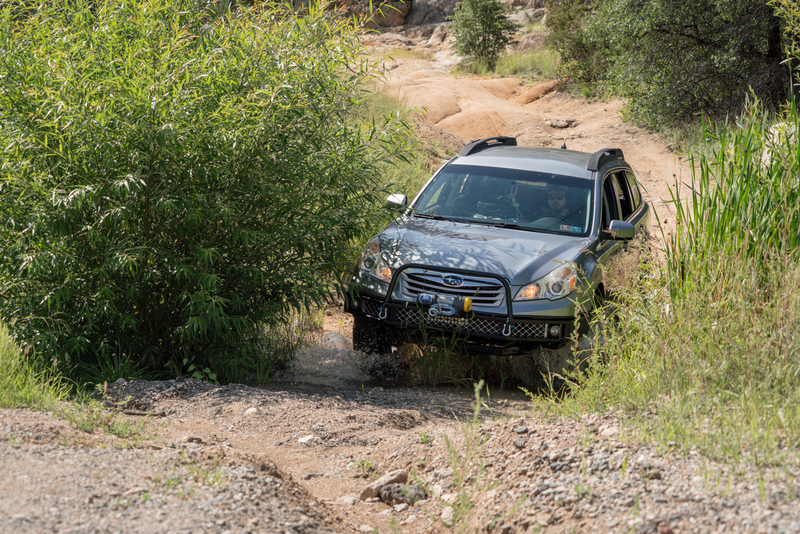 I have been wheeling Subarus over 20 years, and I have seen and experienced their value time and time again. Great article. I love the Subaru Outback as a platform. It would have been a bit more useful with some perspective of the costs.